“The Biggest YouTube Event in Internet History”, headlined by the showdown between YouTube stars KSI and Logan Paul, may actually end up producing one potential world champion. KSI’s head coach and UK amateur boxing standout Viddal Riley will turn pro as a cruiserweight after a 49-fight amateur career that included numerous regional titles and a silver medal at the Junior European Championships. Riley will move to the professional ranks with Jeff Mayweather as his trainer and be managed by Amer Abdallah, who most notably works with two-division world champion Badou Jack. Riley recently visited Las Vegas along with KSI back in March where he met Mayweather at the Mayweather Boxing Club. 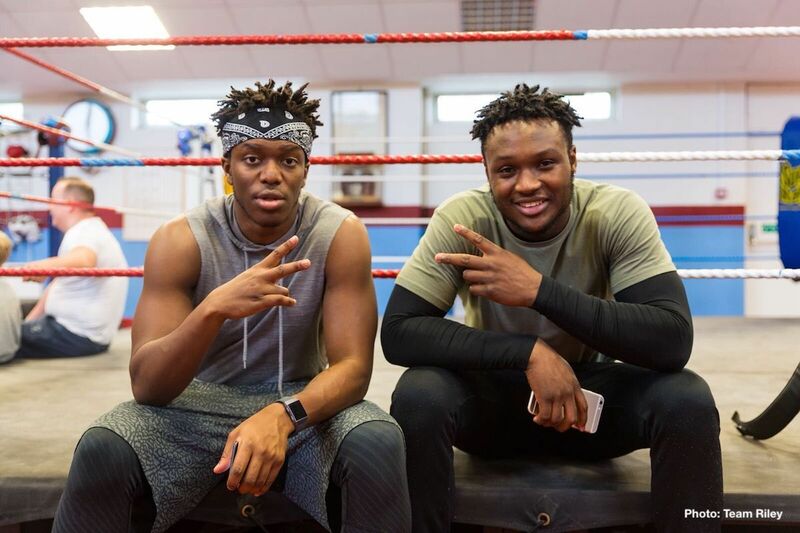 While his primary focus was preparing his fighter for his highly-anticipated fight against Logan Paul, Riley took advantage of the opportunity by sparring with several local cruiserweights, including unbeaten contender Andrew “The Beast” Tabiti.